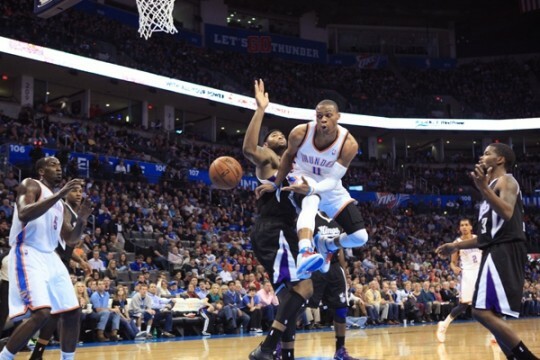 The Oklahoma City Thunder are slowly climbing that playoff ladder. With their win against the Phoenix Suns on Sunday and the Suns’ last second loss to the Milwaukee Bucks on Monday, the Thunder found themselves half a game from the 8th spot, behind the New Orleans Pelicans. While injuries tripped up the Thunder at the beginning of the season, injuries seem to be tripping up some of the teams the Thunder are currently look to climb over. Goran Dragic missed the Suns’ last two games with a back injury. Anthony Davis missed the last game for the Pelicans with a bruised chest. 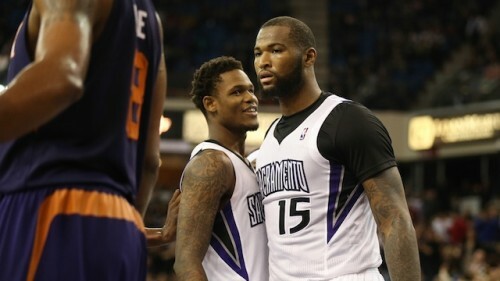 And Demarcus Cousins has missed the last 9 games for the Kings with viral meningitis. The breaks other teams were catching when the Thunder were injured, are the same breaks the Thunder are now catching against other teams. 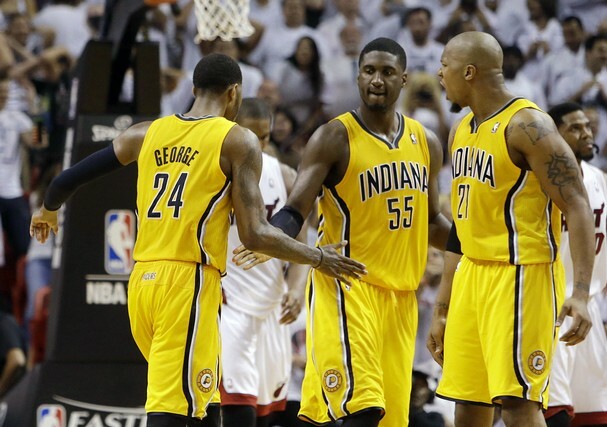 Such is the beast known at the NBA regular season. 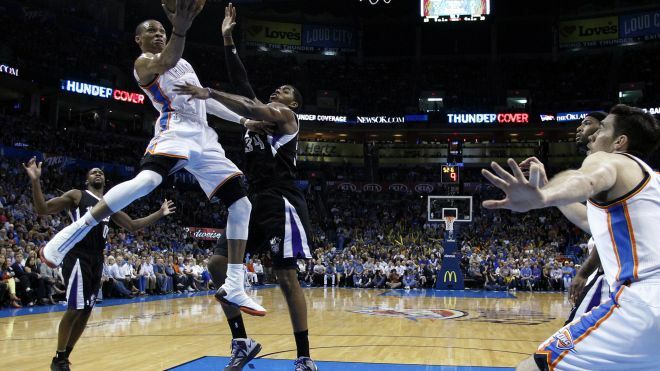 This is the second of four meeting between the Thunder and Kings. 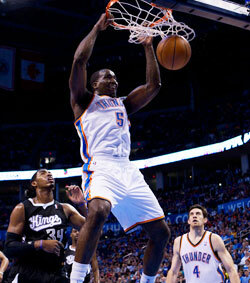 The Thunder won the first meeting 101-93 in Oklahoma City. In that game, Reggie Jackson scored 11 of his 22 points in the 4th quarter to help the Thunder hold off the Kings who made a furious charge in the 2nd half after being down by 13 at halftime. 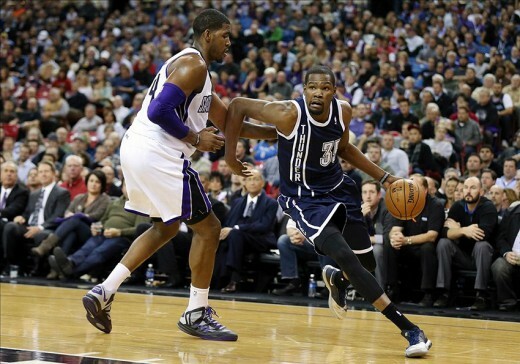 The Sacramento Kings currently sit at 11-13, which is the same record as the Thunder. After starting the season off 9-5, the Kings have gone on to drop 8 of their last 10, culminating in the firing of head coach Michael Malone. From all reports, the Kings front office and the coach disagreed on a number of player personnel issues and the losing streak was just a means to an end for the front office. The recent slide can be directly linked to star center DeMarcus Cousins being sidelined with viral meningitis. Without a presence in the middle, defenses have been able to defend the Kings’ perimeter players one on one and not allow them to get open shots. 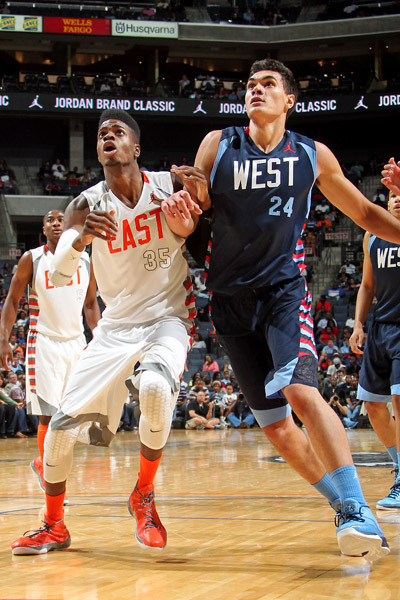 Leading the Kings’ attack is Darren Collison, who is averaging 16 points and 6.3 assists per game. While never one to be mistaken with the league’s elite point guards, Collison can hold his own with his quickness and ability to get into the lane. On the perimeter, Ben McLemore and Rudy Gay may not be the most efficient bunch, but if they get going, they can take over games from the perimeter. 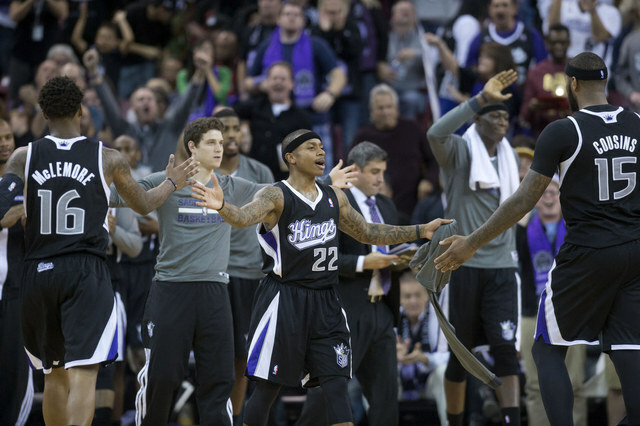 Up front, the loss of Cousins exposes the lack of depth the Kings have on the interior. Which is surprising considering half their roster is power forwards. Off the bench, Ray McCallum, Ramon Sessions, Carl Landry, Reggie Evans, and Nik Stauskas provide the Kings with some depth, especially in the back court. Omri Casspi and the aforementioned Cousins will be out tonight. 1. Trap-Game Potential – Having just played the No. 8 team (at the time) in the Western Conference standings and possibly looking ahead to a prime-time match-up with the Golden State Warriors, this game has high trap game potential. Add to that the fact the Kings are slumping, missing their best player, playing for a new head coach, and playing at home on national TV, and you have the perfect formula for a let down on the Thunder’s part. 2. Rebounding – There has been a lot of correlation lately between the Thunder out-rebounding their opponents and winning games comfortably. 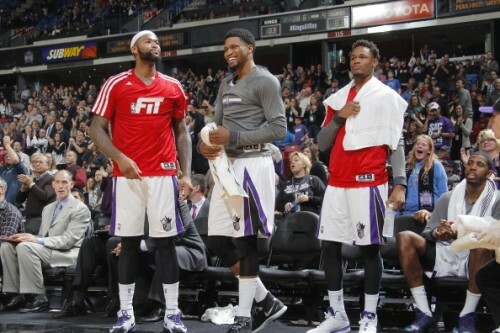 The Kings have a stable of power forwards that can grab rebounds by the bunches. If a Thunder allow them to get too comfortable on the interior, then the Kings will eventually take advantage of their 2nd chance opportunities. 3. Rudy Gay/Kendrick Perkins – There are a couple givens in life: Death, taxes, and the “Kendrick Perkins offensive foul due to a hard screen on Rudy Gay” play. It’s coming. Bank on it. 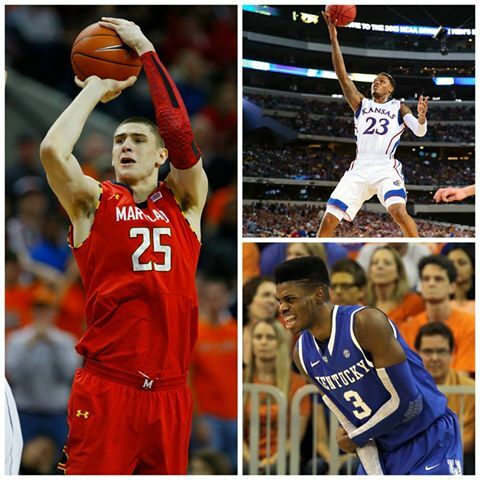 The NBA draft to me is a time of hope. Whether your team has the first pick or the last pick in the draft, there’s always a sense of optimism that the guy your team drafted is destined for great things. And that’s why I’ve always enjoyed the draft. When the Thunder started becoming one of the better teams in the league, their position on the draft board started rising into the late first round. Their draft position from the last 5 seasons went as followed: 4th (still as the Seattle Supersonics), 3rd, 18th, 24th, and 28th. Even with those high draft numbers though, we’ve been able to get good players late in the draft, namely Reggie Jackson and Perry Jones III. Flash back to October 28th, 2012. As soon as the details of the James Harden trade came out, and I saw that we got a first round pick from what was almost guaranteed to be a lottery team (Toronto) and a 2nd round pick, which was almost guaranteed to be in the lower to mid 30’s (Charlotte), I started paying more attention than usual to the 2013 NBA draft. 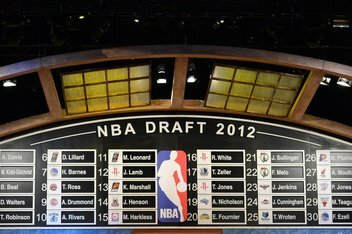 I would visit sites dedicated specifically to the draft (NBADraft.net and DraftExpress.com) and would study up on the prospects. I knew how to spell Giannis Adetokunbo before he Greek-a-nized his last name to Antetokounmpo. For a team that was on the cusp of a championship the season before, the lottery pick could have been the final piece in the championship puzzle. 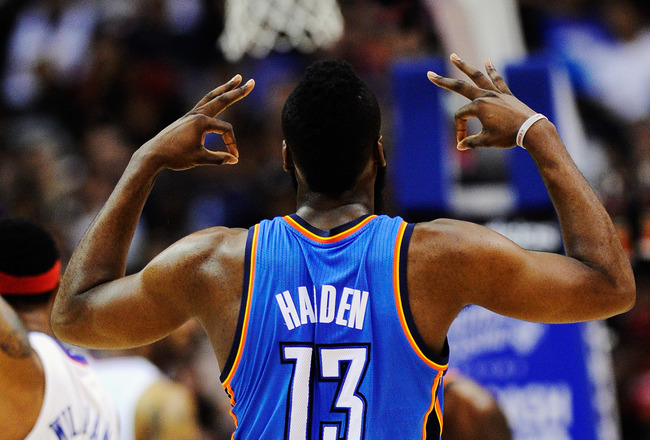 While it is true that the Thunder gave up a big piece in Harden, having a possible lottery pick may have made finding his replacement a bit easier. Also, the possibility of drafting a good player on a rookie salary for, at least, 4 seasons is like manna from heaven for a team teetering on the luxury tax line. Needless to say, when the Thunder were eliminated in the 2nd round of the playoffs, my focus quickly switched to the NBA draft. With two picks in the first round, No. 12 and 29, and one early pick in the second round, No. 32, in what was deemed to be a weak draft, my expectations were that we weren’t going to be using all the picks. By most accounts, the teams in the top 5 weren’t necessarily exalting the selection of prospects at the top of the board. 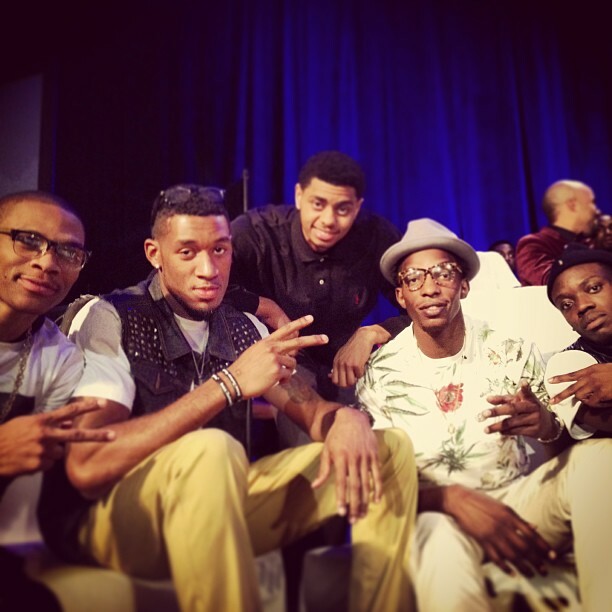 I thought the Thunder were going to do something big (i.e. trade up or trade for good veteran player). It’s a funny thing about expectations, though. They can sometimes cloud your vision. When the picks started coming in, and guys that I thought were high on the Thunder’s draft board (Alex Len, Nerlens Noel, Ben McLemore, and CJ McCollum) started dropping, I thought it was prime time to make a trade and move up. 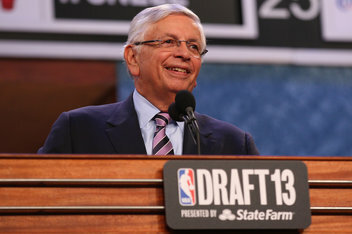 But as those players started getting drafted, and every “We have a trade,” from David Stern yielded nothing for the Thunder, I started to feel disappointment. As the draft went along and we only made minor moves, I literally had a feeling of utter dejection about this draft. I mean, this was the “Harden redemption” draft. We were supposed to get ourselves a blue chip prospect to join with Jeremy Lamb in order to have a feeling of success when it came to the James Harden trade. And it didn’t necessarily have anything to do with the players we drafted. It just felt like we let a golden opportunity go by without even trying to do anything. But, alas, a little bit of sleep and a little bit of retrospect usually puts things into perspective. The more I thought about the players we got in this draft, the more I liked it. First off, this was not your draft if you are into instant gratification. This was a developmental draft, just like the last two drafts for the Thunder have been developmental drafts (Jackson, Lamb, and Jones III). As I analyzed this draft, I saw that we obtained players that will greatly help us in the future. 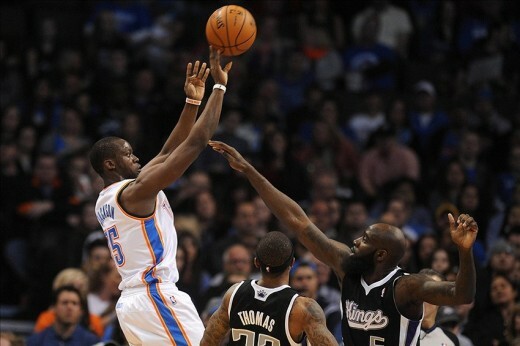 The Thunder don’t necessarily have a good track record with it comes to centers. Since they’ve arrived in Oklahoma City, the Thunder have drafted two flame-outs and one Eurostash: Byron Mullens, Cole Aldrich, and Tibor Pleiss. 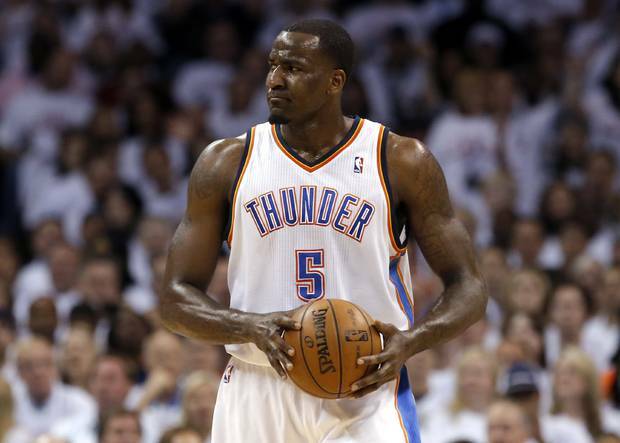 The carryovers from the Seattle days (Mouhamed Sene, Robert Swift, and Johan Petro) were 21 feet of nothingness, and the current placeholder, Kendrick Perkins, just posted a negative PER in the playoffs. To say that the center position is a position of need is an understatement. 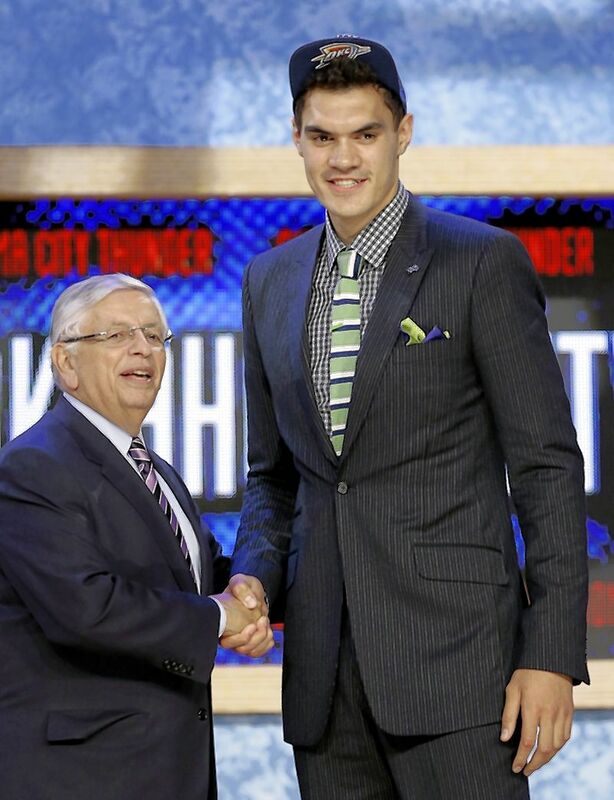 The 7 footer from New Zealand is a late bloomer, but has the tools to be successful in the NBA. He’s an athletic big man with quick feet known for his defense. He won’t be asked to contribute immediately and may spend a good deal of his rookie season in Tulsa playing for the Tulsa 66ers. With two of the top 10 players in the NBA in Kevin Durant and Russell Westbrook, the Thunder don’t necessarily need an offensive savant in the middle. What they do need is someone that can move around, play defense, grab rebounds, catch a pass, and finish when they are within 5 feet of the basket. I have no doubt that Adams will be able to do that. This pick was a bit of head-scratcher to me. Not necessarily the pick itself, but the fact that the Thunder moved up 3 spots (albeit just for cash) to make the selection. Roberson was creeping up on every mock drafts, but wasn’t in line to be picked in the first round. Every mock draft had him falling to the beginning of the second round. Why the Thunder felt the need to move up to grab him? We may never know. Being that he is a Kawhi Leonard-like player, maybe the Thunder caught wind that the San Antonio Spurs were looking to draft him with the 28th pick. Roberson is a bit of an enigma. 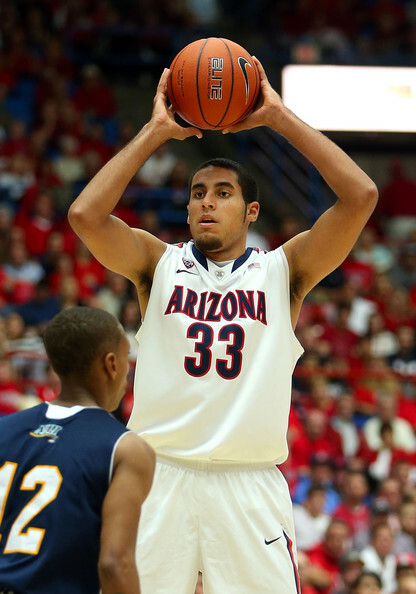 He’s 6’7, but has a 6’11 wingspan and was second in the NCAA in rebounding at 11.2 per game. Also, he’s one of the premier defenders in college. Those traits usually translate very well to the pro game. His offensive game is a different story. He struggles for consistency on the perimeter, but excels if he gets close to basket on dribble drives, cuts, and offensive put back. 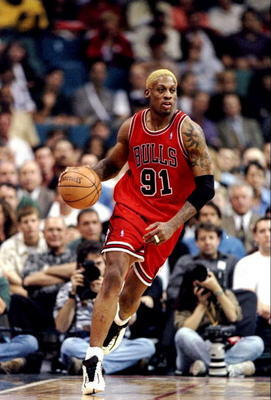 Because of this, he is often compared to Hall of Famer Dennis Rodman. In a system and on a team that values players that can guard multiple positions, Roberson should eventually find a spot in the rotation as a defender. It wouldn’t surprise me if Roberson saw the most minutes with the Thunder of all the Thunder rookies. 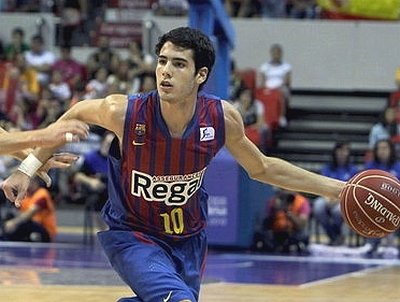 Abrines is a stash pick that will probably stay in Europe for 1-2 more seasons. He asked teams not to drat him late in the first round, as the guaranteed money would be less and he would probably have to fit some of the bill for his buyout. 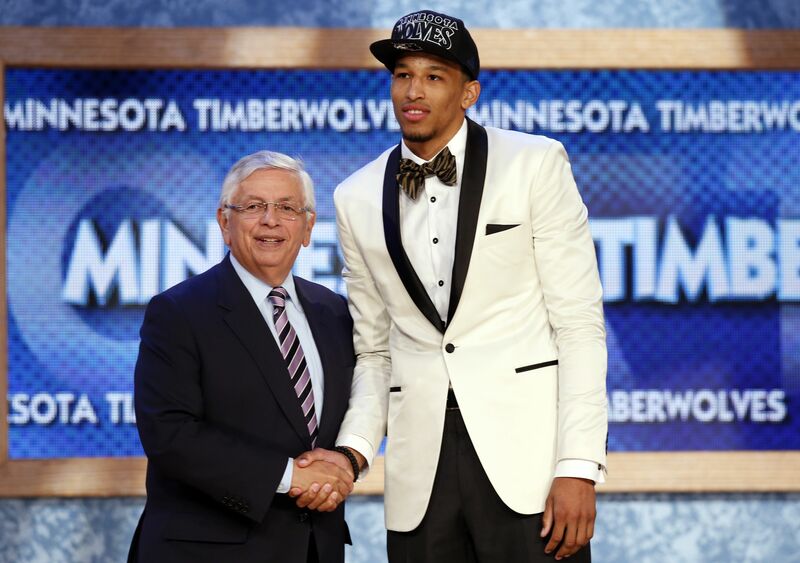 The Thunder took a chance and drafted him with the second pick of the second round. He is a smooth shooting wing player with a flair for the dramatic that many have compared to Rudy Fernandez and Drazen Petrovic. At 19 years of age, Abrines will have to improve his game and strengthen his body before he’ll be able to compete in the NBA. The only negative for the Thunder is that Abrines is young enough to improve to the point where going the NBA would not make financial sense, causing him to stay in Europe for the rest of his professional career. 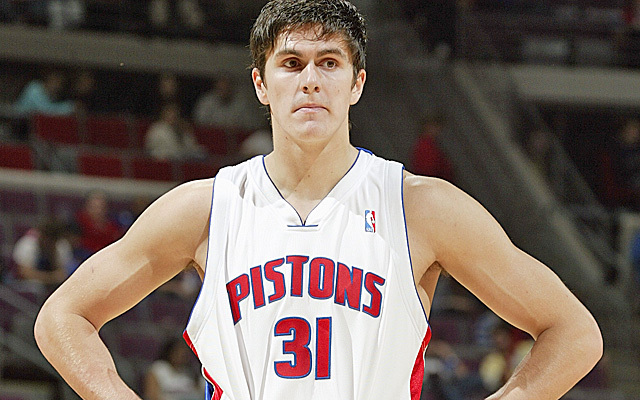 Just when I thought there was no way we would draft three rookies to actually play on the team this upcoming season, the team goes and acquires a shooting big man in the 2nd round. At 6’10, Jerrett showed great potential as a shooter and as a stretch 4 in the NBA. At this point though, perimeter shooting is his only noticeable strength. Jerrett has a tool the team needs, but will need to put in a lot of work to make the opening day roster. He may be a Ryan Anderson-type player, but he may have benefited from another season in college. If his strengths don’t outweigh his weaknesses in Summer League and during the preseason, Jarrett, as a second rounder, is a good candidate to not make the team. Surprisingly, this draft said more about the players already on the team than those that were drafted. The team’s unwillingness to part with Jackson, Lamb, or Jones III to move up showed the confidence the team has in the young guys, and shows how the team values cohesiveness and development. With three rookies on the roster, look for the team to try to sign one or two veteran free agents to even out the youth on the bench.